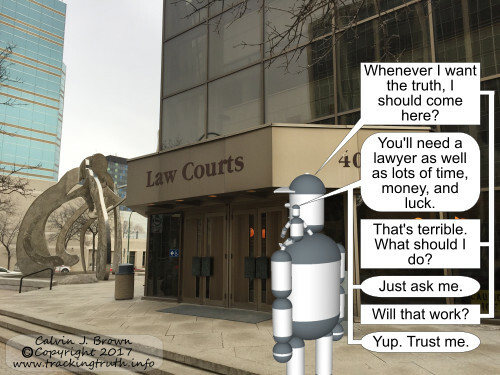 We saw in the last post that there are techniques apparent in the legal system that might be applicable to our own everyday use.1 A supportive environment, evidence, opposing viewpoints, and reconsidering a conclusion all seem to factor into how the court system tries to establish the truth and applies it to making decisions. It might be valuable to consider how well they work. If you aspired to becoming a member of your country’s Olympic roller-skating team (and don’t worry, I think there’s still time—I believe it’s scheduled to be considered for inclusion as an official Olympic sport right after team juggling.) (Re-reading note: my sincere apologies for my sarcasm to all roller-skating and juggling lovers. My therapist would probably say I’m embittered by my complete failure at both activities. Hard to believe, I know, but just ask my kids.) (Re-re-reading note: I don’t actually have a therapist. Perhaps I should.) Let’s start over. In your pursuit of Olympic roller-skating fame, do you believe you’d fare better if you were surrounded by people who believed in your Olympic goal and encouraged you to pursue it? It’s easy to believe that as likely, if you consider the alternative: “Cal, give it up. You’re a loser and a danger to any kids skating near you!” And thus ended my roller-skating dreams. However, I can console myself that my misfortune has served to make an important point. It’s easy to imagine that pursing a goal or—as in our case—the truth is much more readily done if those around you are respectful and supportive. Alas, in my case, I can only dream of what roller fame I might have achieved. If you felt something thump you on the head, you would wonder what had caused it. If you noticed that no one was near you, that you were sitting under an apple tree laden with ripe fruit, and that an apple had bounced off your shoulder and to the ground immediately after your thumping, then you might reasonably conclude that your head had been hit by a falling apple. Sherlock Holmes would be proud of your deductive skills. (But he might be appalled that this was the best example of a mystery I could come up with.) In determining that an apple was the probable culprit, you considered the evidence (i.e. sitting under an apple tree, ready-to-fall apples, an apple falling to the ground), and you formed your conclusion as to what was probably true. Considering evidence is something we do naturally and frequently as we pursue the truth daily, and something we shouldn’t be surprised to find used in trials in the legal system. In actual trials, the challenges regarding evidence can be numerous: Witnesses might lie or contradict themselves; eyewitness testimony can be unreliable for numerous reasons; who and how the evidence is handled (the “chain of custody”) can be problematic; expert witnesses might not be qualified or might provide testimony that’s confusing; evidence might be only circumstantial (e.g. seeing the defendant near where a shooting occurred, and not actually seeing the him/her commit the crime).4,5 There are even more challenges than these. However, the idea of using evidence still seems appropriate, perhaps even obvious, given our daily experiences. The consideration of it by the courts (and by all of us) for establishing the truth must be done carefully to avoid erroneous conclusions. In thinking about courts’ use of opposing lawyers to pursue truth (and then guilt or innocence) in the adversarial system, it seems as if the technique should be effective. The structure ought to ensure a useful balance in the courts overall analysis of a case, shouldn’t it? Not everyone sees it that way. In William Pizzi’s book Trials without Truth,6 he notes that, in the United States, problems arise from making the system feel like a two-sided battle. In pursuit of victory, both sides can aggressively apply to have evidence excluded from trials on the basis of technicalities, without due regard for how that injures the objective pursuit of truth. To guard against the narrowness of a two-sided battle, he points out that “In some European countries, [the courtroom] is set up with three or four tables… so that there is room for others… to participate in the trial. In some countries, an attorney for the victim is permitted to participate…on an equal basis with the prosecutor and the defense attorney.” Pizzi’s point: the competition of two opposing lawyers might override the objective pursuit of truth. In the court system, how effective is the process for re-considering outcomes? That’s a tricky question to answer. One measure would be to look at how frequently an Appeals Court overturns a previous decision. A hint comes from a study of the results of Canada’s Supreme Court as it considered cases presented to it from lower courts during 2000-2007.7 The study shows that there were 6.5 reversals per thousand cases. That’s a rather small fraction. One also must consider that reversals can occur because of a disagreement in the interpretation of the law, and not necessarily because of an error in establishing the facts in the case. Nonetheless, it’s difficult to conclude from this statistic whether having an appeal process adds much to ensuring the truth is eventually correctly discovered. However, one could conclude that the very existence of Appeal courts suggests that governments have recognized that errors can be made and decisions should sometimes be reconsidered. That’s a worthy thought. A recent Special Edition of Time entitled “Innocent: The Fight Against Wrongful Convictions” provides another interesting perspective.8 Its articles offer a reminder that trials have existed in (what is now) the United States for centuries, and that they included the Salem Witch Trials of 1692-93. Twenty people were executed as a result of those trials and, in some, the convictions for practising witchcraft were partly due to witnesses testifying about their communication with ghosts. Thankfully, standards for what’s admissible as evidence seem to have changed over the centuries. Regarding more modern times, the Time articles point out how recent DNA tests have proven the innocence of many previously convicted people. Analysis has shown their original convictions were because “witnesses got things wrong. Jailhouse snitches lied. Police, prosecutors, and rogue laboratories cut corners. Defense lawyers coasted through their work.” and “People confessed to crimes they had not committed.” This 2017 Time publication says that, since 1989 in the USA, about two thousand people have had their convictions overturned, there are about three more added to that every week, and “these cases likely represent a small fraction of all innocent prisoners”. Perhaps the bottom line is that it’s challenging to be confident that the techniques used in the legal system are completely effective for seeking the truth. 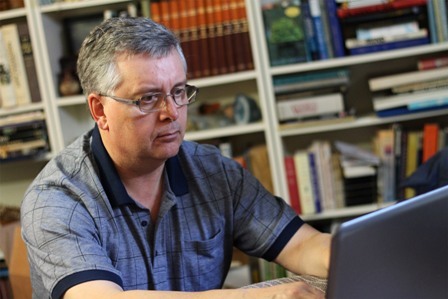 Pursuing the truth in a calm, supportive environment sounds like it has good possibilities. Being open to reconsidering previous decisions also sounds like a winner. The effectiveness of using opposing lawyers in the adversarial system seems problematic because of the possibility that winning—not finding the truth—could be paramount. In general, though, we should keep in mind the principle that it’s valuable to consider different points of view. And lastly, the use of evidence to establish the truth seems solid (if it’s used carefully) in that it corresponds nicely to what we frequently do in our daily lives. However, the number of times that legal systems seem to fail leaves a sense of doubt about their effectiveness. And that provides plenty of motivation for continuing to search for other useful ideas that can help in an ongoing quest for the truth. It’s time for a vacation from the blogging world. Warmer weather has arrived in my part of Canada, and that means it’s time to tackle a long list of outdoor projects. That list includes some vigorous rounds of golf. (Yes: vigorous. And you’d see my point if you golfed like I do.) The list also includes intensive reading (outside in the shade) of a stack of books I seem to have accumulated. I hope it’s a lengthy summer because speed-reading isn’t among my skills. Nicely timed (or, as my family would suggest, rather frequent) naps probably don’t help my reading pace either. I’ll be back in September. I hope you’ll be here to join me. 1 Brown, Calvin J., “Legal Lessons.” Tracking Truth, http://www.trackingtruth.info/2017/05/legal-lessons.html. 7 May 2017. 2 Mewett, Alan W.; Nakatsuru, Shaun. An Introduction to the Criminal Process in Canada: Fourth Edition, Carswell Thomson Professional Publishing, Toronto, 2000, pp. 134. 3 Mewett, Alan W.; Nakatsuru, Shaun. An Introduction to the Criminal Process in Canada: Fourth Edition, Carswell Thomson Professional Publishing, Toronto, 2000, pp. 135. 5 Axelrod, Alan & Antinozzi, Guy. The Complete Idiot's Guide to Criminal Investigation, Alpha, A Pearson Education Company, 2003, pp. 153,262. 6 Pizzi, William T, Trials without Truth, New York University Press, New York & London, 1999, pp. 36-37. 7 “Appealing Outcomes: A Study of the Overturn Rate of Canada’s Appellate Courts.” Osgoode Hall Law Journal, 2009, https://www.dwpv.com/~/media/Files/PDF_EN/2014-2007/Article-Appealing-Outcomes-Study-of-Overturn-Rate-Canadas-Appellate-Courts-2009.ashx. Accessed 30 Mar 2017. 8 “Innocent: The Fight Against Wrongful Convictions.” Time Special Edition, Time Inc. Books, 2017.